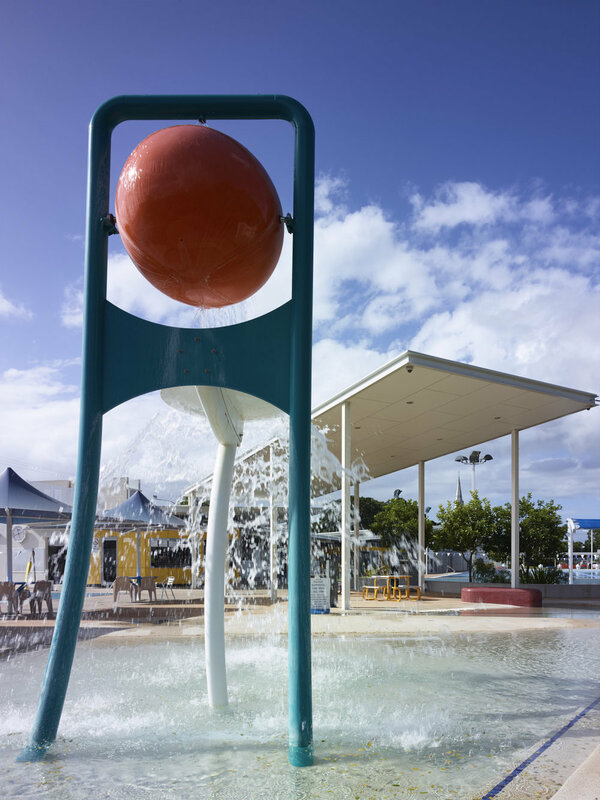 Originally built in the 1950s as part of the construction of war memorial pools throughout the country, the Maryborough Aquatic Centre was in need of redevelopment and expansion to strengthen the facility’s status as a valuable community recreational space. 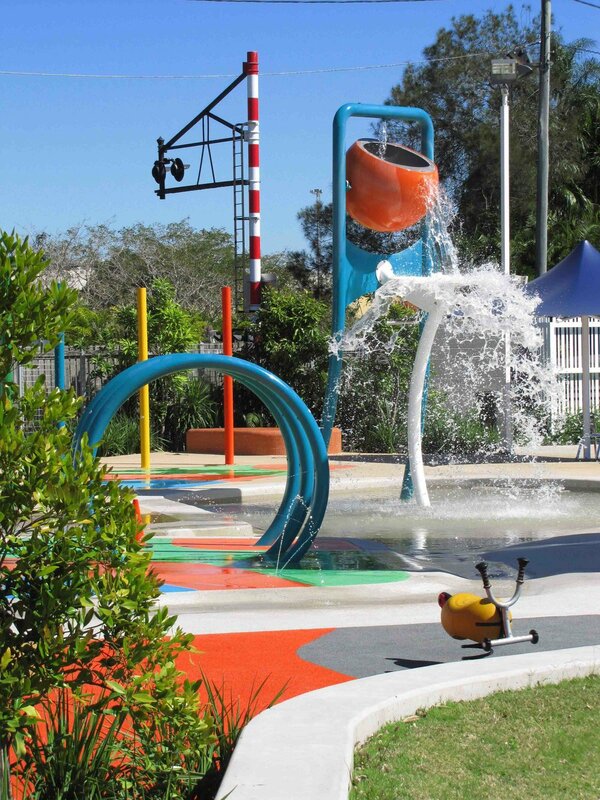 Guymer Bailey’s design for the redevelopment included a new administration and facilities building, a new 50-metre pool, refurbishment of a 25-metre lap pool, a new hydrotherapy pool, a water-play pool, and landscaped recreation spaces. Catering for different needs, at one end of the Aquatic Centre is a range of facilities for active participants. 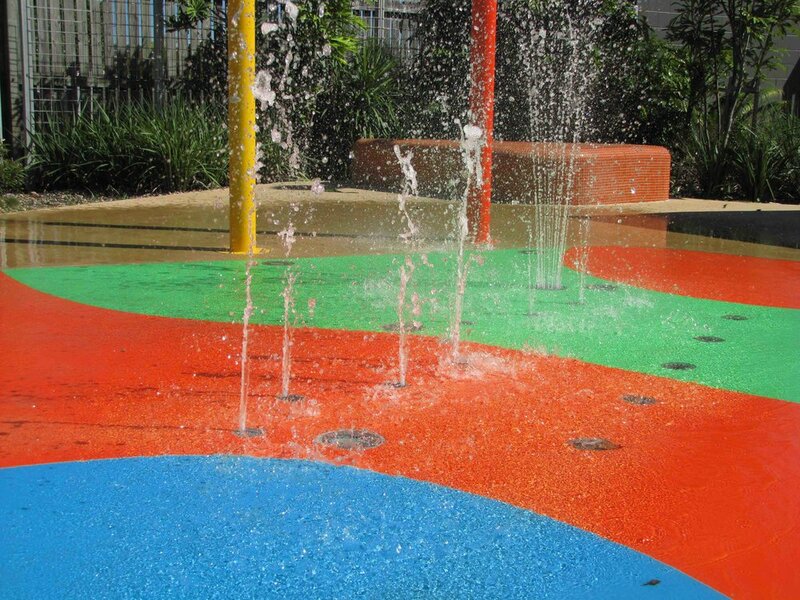 These include the water-play pool mixing a variety of water features such as interactive sprays and jets, a waterfall, and a flowing stream with vibrant colours. At the opposite end of the Centre, large lawn areas with seating platforms and mounding cater for more leisurely recreation. Access points, walkways and amenities of the Aquatic Centre are also disability compliant. 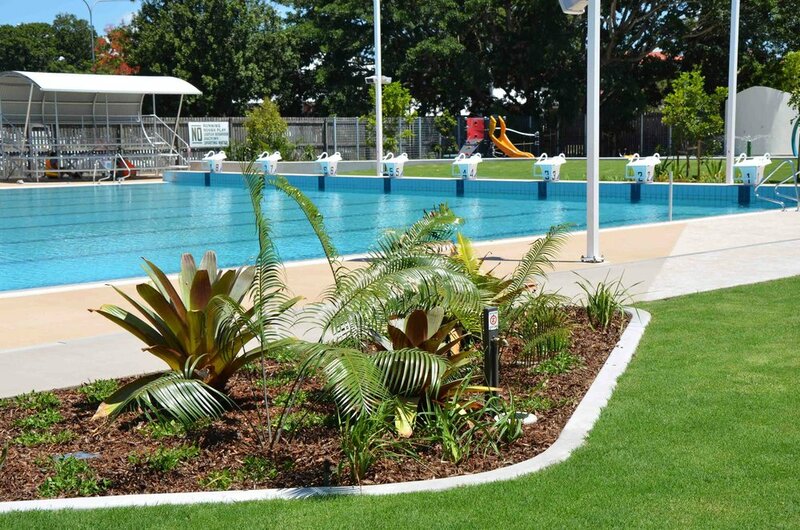 Acknowledging Maryborough’s subtropical climate, the Aquatic Centre’s design provides large areas of sunshade under shelters and shade trees. Also taking into consideration the heavy community patronage and harsh, corrosive conditions associated with swimming pool facilities, only hardwearing materials were chosen for pavements, furniture and fixtures.